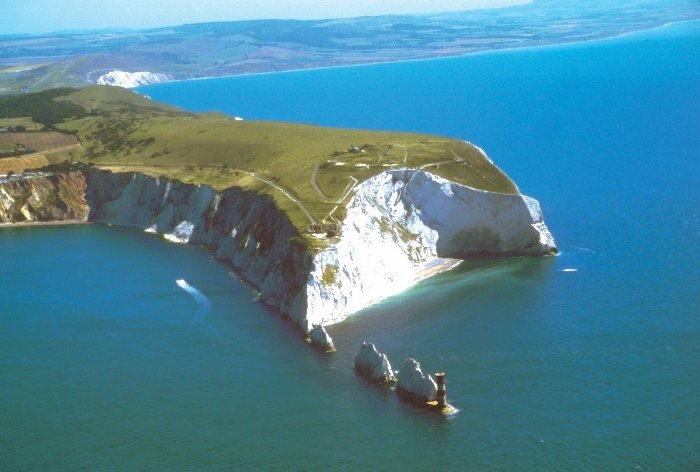 Located approximately two miles off the southern coast of England, the Isle of Wight is England's largest island community. The total size is 23 miles long and 13 miles wide, and the population is approximately 142,500. 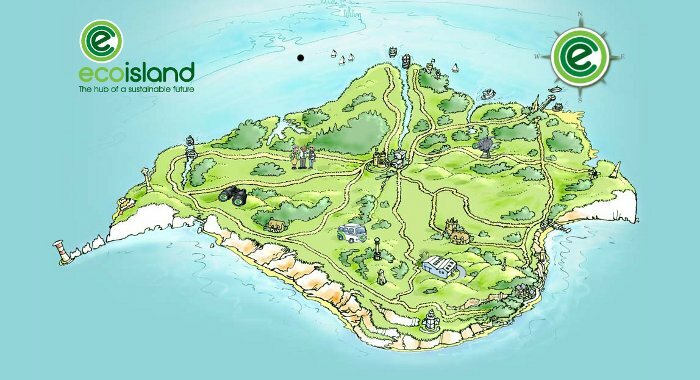 Whereas the island currently gets 600 gigawatt hours of power from mainland UK, the aim of the EcoIsland Initiative is to make the Isle of Wight energy self sufficient with renewable sources by 2020. 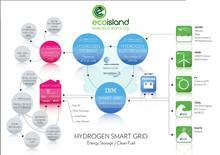 The EcoIsland Initiative includes at least 30 megawatts of renewable electricity. Renewable power technologies to be adopted include at least 1300 solar roofs, waste to energy, tidal, wind power and geothermal. Efforts to install wind turbines are reported to have encountered community resistance. Experience worldwide demonstrates that this is often overcome by involving local citizens in community ownership that allows them to participate directly in the financial benefits and pride of the project. Time will tell how this scenario evolves on the Isle of Wight. Energy efficiency measures, such as insulation for buildings, will compliment the renewable power installations on the island. 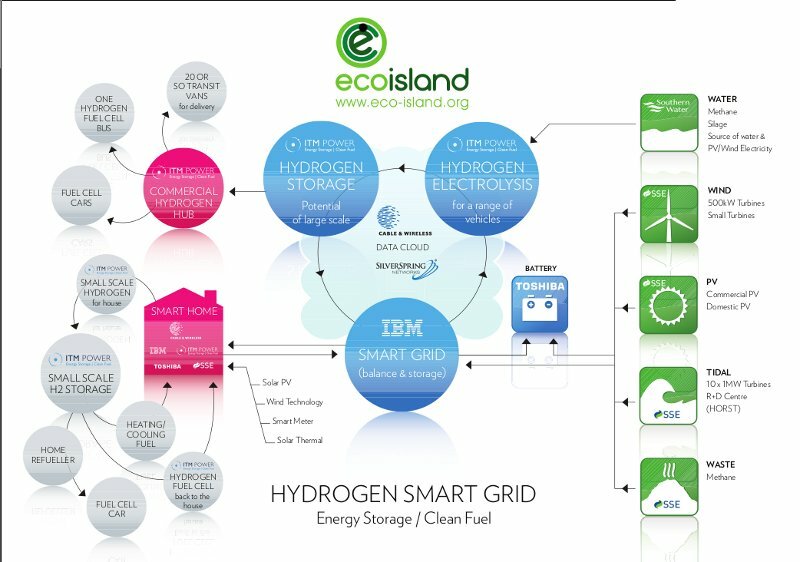 So, too, will the Isle of Wight's smart grid initiative, which aims to cut island customers' power bills by 50% with a combination of demand side management, battery energy storage and hydrogen storage. A demonstration project is sited at the St. Cross Business Park next to solar panels, windmills, and a hydrogen pilot project,. The hydrogen pilot project is the largest one in the Isle of Wight's hydrogen research and development initiative, which received £2.4 million out of the £4.6 million budget from UK innovation agency Technology Strategy Board (TSB). 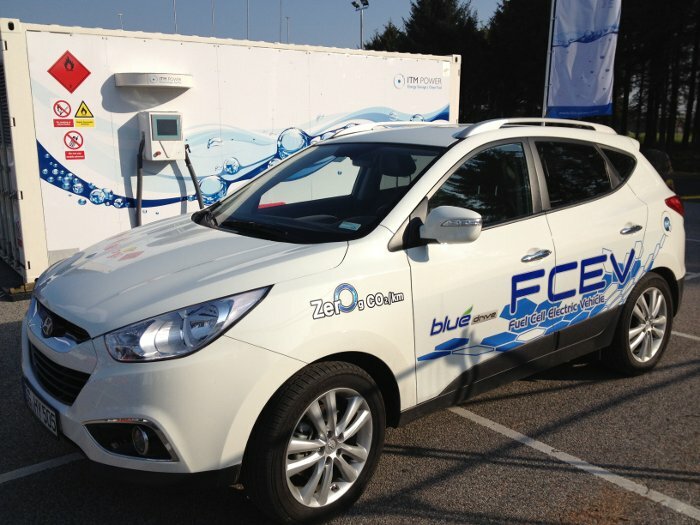 The project, which covers hydrogen production, energy storage, and vehicle refueling, also has numerous private partners. ITM Power will design, build, install and operate two grid-connected hydrogen refuelling platforms and showcase a range of hydrogen powered vehicles. 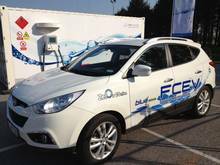 These include Hydrogen Internal Combustion Engine (HICE) vans and Fuel Cell Electric Vehicle (FCEV) cars made by Hyundai, Microcab and River Simple to be used by companies, including wind power company Vestas, local energy distribution network owner SSE, and Southern Water. A HICE catamaran by Cheetah is also part of the project. Other partners include Toshiba and Cable&Wireless. An additional part of the transportation sector plan in the EcoIsland Initiative is electric vehicles, and helping to further this, SSE has invested in electric charging stations. The EcoIsland Initiative is being led by the community interest group EcoIsland Partnership CIC. 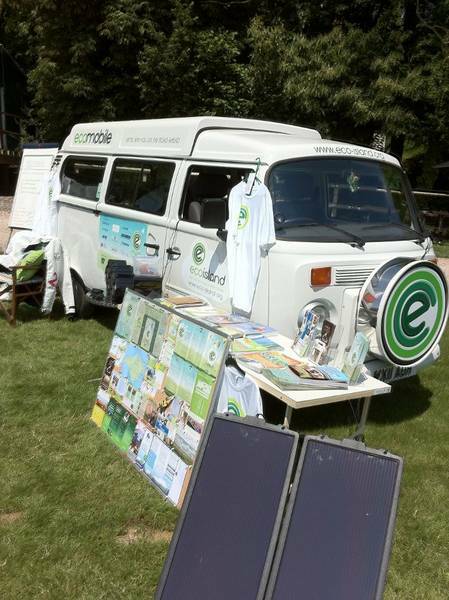 To stimulate community support, an "Eco-mobile" attends events, the website www.eco-island.org has been launched, a social media network is active, and the internet channel ECOTV.me has been created. EcoIslands Global Summit in October 2012 was created to showcase the Isle of Wight's efforts to islands around the world. Also, SSE agreed to help raise money for the EcoIsland Partnership by donating £1 per month for every island customer who joins the EcoIslands Community Energy Scheme. In return, customers get to choose between lowering their energy bills or donating to local EcoIsland Partnership driven projects that lower the island's energy and carbon footprints. SSE's effort could raise over £2 million annually.